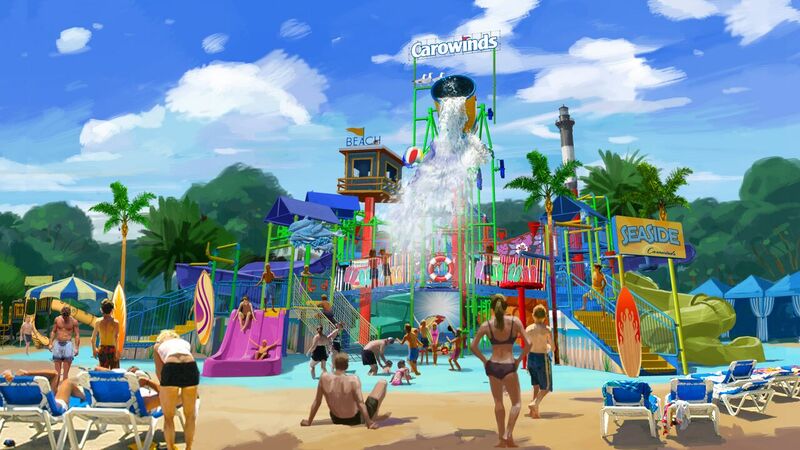 Carowinds has unveiled plans to bring a fresh and exciting Carolina coastal experience to guests with a historic waterpark expansion in 2016. 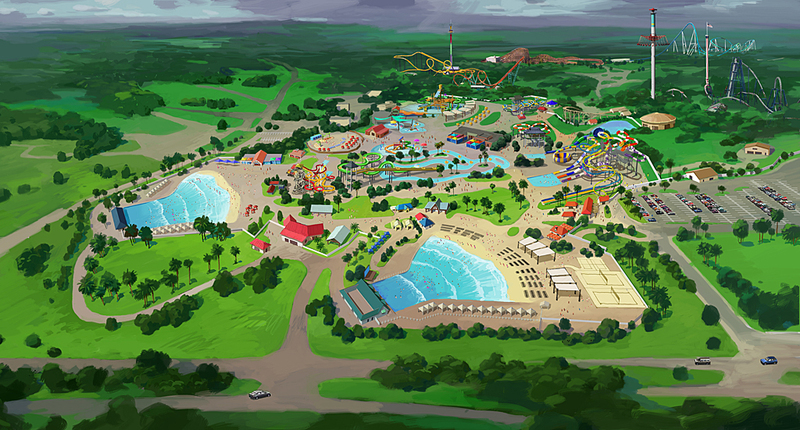 The transformation is part of the park’s commitment to celebrate Carowinds’ heritage as the place where the Carolinas come together, creating an “aquatic playground” with thrilling new attractions, new amenities and a new coastal name – Carolina Harbor. Pirate’s Plank will send guests plummeting down a nearly vertical free fall where the floor drops out from underneath. Cannonball Drop will twist and turn riders through an enclosed chute with four intense 360-degree turns. Captain’s Curse shoots guests down a series of intense drops and turns. 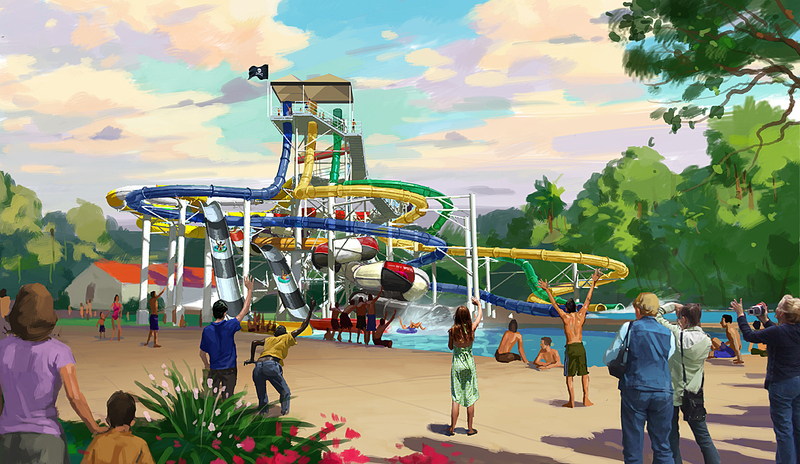 Seaside Splashworks, a multi-level children’s water spray ground, will feature over 80 countless play elements including a giant 423-gallon tipping bucket. Kiddy Hawk Cove and Myrtle Turtle Beach are two areas specifically geared with the little squirts in mind. These toddler areas will include jets of water spraying up from the ground surrounded by a charming garden atmosphere. Carowinds has recently been named one of the nation’s top amusement parks by the Travel Channel and Fodor’s Travel, and TripAdvisor’s family travel site has named it one of the country’s 10 Best Amusement Parks for Families. The park will be sharing additional plans for the 2016 season later in the fall. This entry was posted in Home Page, Home Page Slider, News and tagged Carolina Harbor Waterpark, Carowinds, Mike Fehnel. Bookmark the permalink.